Waking up in Mitchell, Mike and I immediately drove to Sioux Falls, the largest city in South Dakota containing 28% of the state’s population. The city, about an hour from Mitchell, has about 150,000 residents. We first stopped at the namesake of the town at Falls Park. 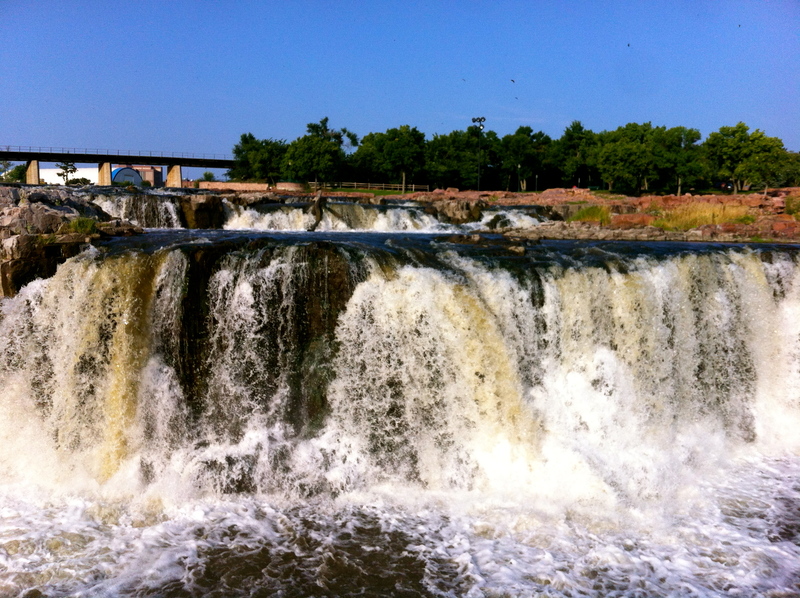 In the park, the Big Sioux River tumbles about 30 feet over a three-tier waterfall. While certainly no Yellowstone Falls, the park was very well done with lovely interpretive signs. 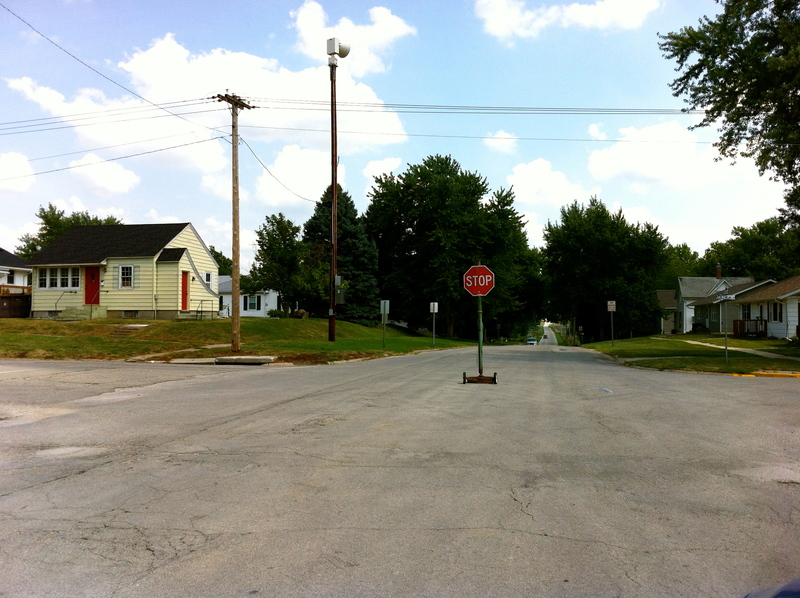 We then drove south to the town of Villisca, Iowa home of the Villisca Axe Murder House. Getting to Villisca involved an hour-long detour on rolling two-lane farm roads. The town itself is nothing special and Mike constantly laughed at me for taking him here. 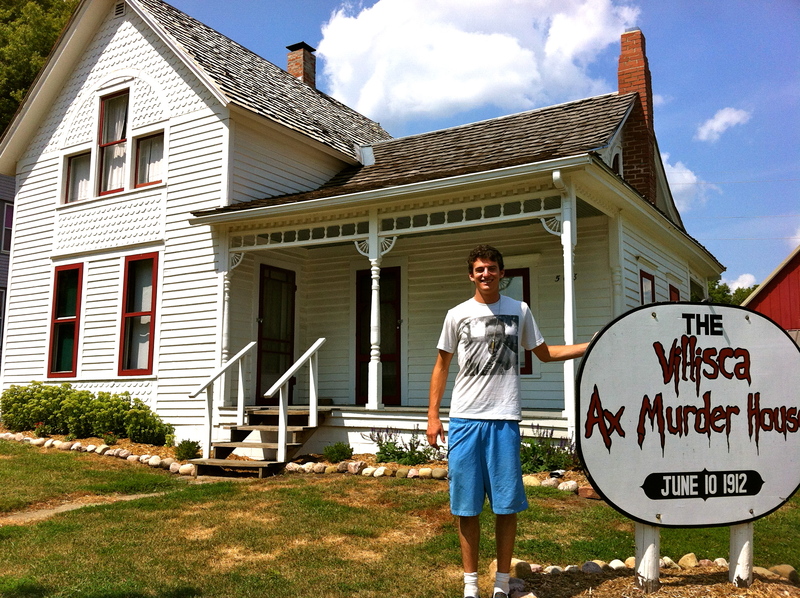 The Axe Murder House is really the only attraction in the town and is located a few blocks out of “downtown”. The house and adjacent museum are run by an elderly lady who owns the house and a middle-aged man who moved from South Carolina to work at the house. After paying the $10 admission, the man led us into the house where he gave a 5 minute talk before letting us roam. The house was the site of a brutal axe murder of 6 almost 100 years ago. Turns out that this house is now considered to be the most haunted house in America. In fact, while we visited, a marble rolled underneath one of the murdered girl’s beds without any evidence of assistance. While I believe the disturbances and noises to be the wind and creaks of the old house, the other visitors were convinced that ghosts haunted the house. The most haunted house in America. We spent about 30 minutes in the house before hitting the road again. We continued further south to Kansas City. 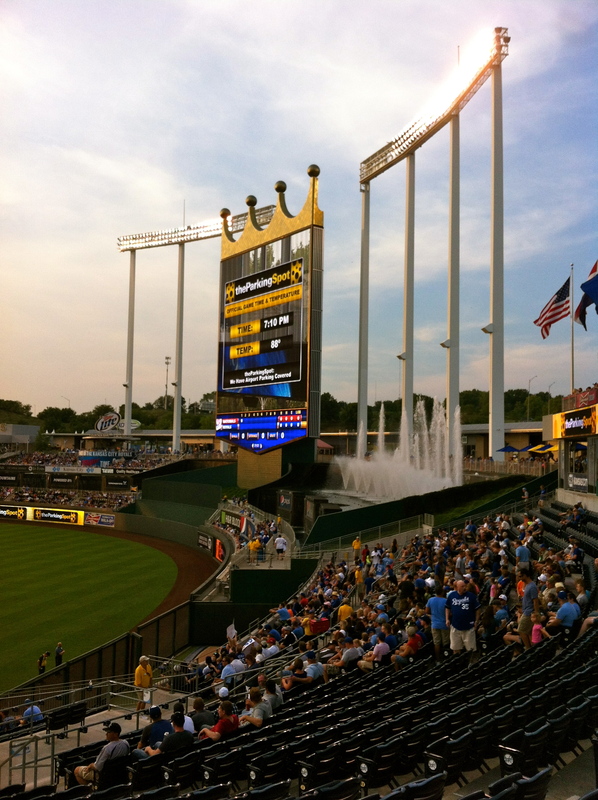 Once in Kansas City, we met up with my cousin Jono and his girlfriend Ashley and went to a Kansas City Royals game in Kaufman Stadium. The stadium was recently redone and we actually sat in a sports bar in the outfield. It really did not even feel like we were in a baseball stadium. The Royals were playing the Washington Nationals and at the end of the 2nd inning were up 6-0. However, the Nationals ended up rallying and winning the game easily. While that was quite disappointing, I really enjoyed catching up with my relatives and seeing the stadium. We spend the night at my Grandma Dorothy’s house in Prairie Village, Kansas (yes she is Dorothy from Kansas).